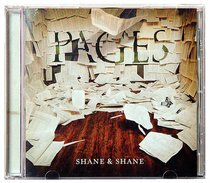 After a two year spell, Texas-based duo Shane & Shane are back with PAGES. 14 all-new songs showcase the Shanes' impassioned, pop-oriented worship style. Listen in for the much-talked-about US radio hit single, 'We Love You, Jesus'! these guys encourage you into a place of real worship.